Suitable for all kinds of beard shapes,soul patch,short boxed beard, goatee, etc. 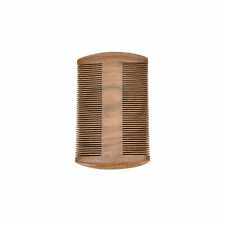 It is a great beard comb to detangle your mustache and hair. 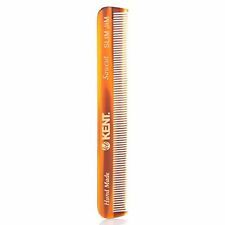 It is a great beard comb to detangle your mustache and hair. It even features different styles - curve cut or step cut for your cheek, for example. Choose the one that suits you! SAY GOODBYE TO TANGLES & KNOTS: How can a man grow a full, thick beard or well shaped moustache if it is full of tangles and knots?. Double-sided design, different in length of teeth, helpful for your beard combing. 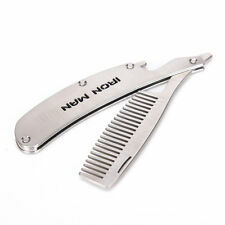 Type: Beard Comb. 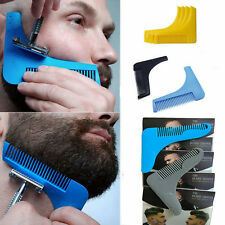 1 Beard Comb. Made of premium stainless steel material, sturdy and durable. Material: Stainless Steel. 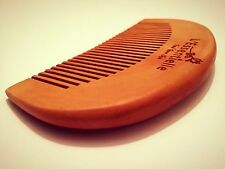 High quality comb perfect for beards and moustache care. Made of genuine ox horn, great anti-static performance, no harm for your hair. Don not use it to comb for wet hair, it will affect its service life. Color:Natural Wood Color. Size:12.2cm 5.6cm 1.3cm ( -0.1cm). Normally we try best to respond within 24hours rotation or earlier if possible. we will try best to resolve all your issues. must be cleared before any orders are dispatched. 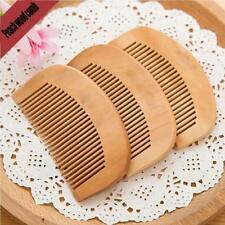 100% Natural Peach wood, strong and very durable, Beard or hair comb. This is a natural product, each comb will vary in colour and indents. Feature: Line it up. Shave over the edge. Perfect lines. Its tapered edge design makes it easy to form perfect lines and achieve symmetry. 100% brand new and high quality. 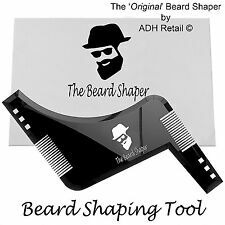 Product name: double-sided beard comb Product size: about 17 * 11.5 cm Product material: plastic Product weight: about 20g Product Included: 1 x Double-sided beard comb. Suitable for combing both hair and beard. 1 x Beard Comb. Smooth comb teeth, not hurt the scalp and no deform with water. Folding design, convenient to carry for traveling and daily use. It is anti-static and comfortable to grip. 1 x Wood Comb((other accessories demo in the picture is not included.). Color:Deep coffee. Due to the difference between different monitors, the picture may not reflect the actual color of the item. Also note that monitor settings may vary from computer to computer and may distort actual colors. ). Product material: plastic. Product size: about 17 11.5 cm. Product weight: bare weight about 20g. Silicone Sippy Cup Lids - Spill Proof Trainer Learner Bottle Glass Sip Toddler. All In One Bottle Opener Jar Can Kitchen Manual Opener Gadget Multifunction LH. Universal Milk Bottle Cup Holder For Baby Stroller Pram Pushchair Bicycle Buggy. Stainless Steel. hope you can understanding, will be sincerely appreciated. Color: as picture. Item number:796857. 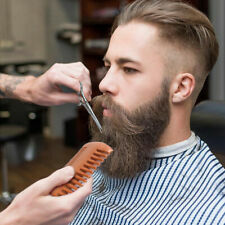 5pcs Beard Styling Tools. Line it up. Shave over the edge. Perfect lines. Quantity:5 pcs. Due to the light and screen difference, the item's color may be slightly different from the pictures. Material:Stainless Steel. Color:Silver Wood. S ize:Length: 12.5cm, Width: 3.5, Handle Thick: 0.6cm. Due to the light and screen difference, the item's color may be slightly different from the pictures. The Bluebeards Revenge Comb. The manliest comb on the planet. Suitable for many hair types. (Suitable for: Comb hair or beard. 2) It can be used on your hair and beard. Item included: 1x folding comb. 3) Small item, can be put or clip it in pocket. 3) Hand-wash it in cold water, air-dry, avoiding strong sunlight. All In One Bottle Opener Jar Can Kitchen Manual Opener Gadget Multifunction LH. Universal Milk Bottle Cup Holder For Baby Stroller Pram Pushchair Bicycle Buggy. Black Car Garbage Bag Rack Sucker Trash Bag Hanger Removable Car Trash Bin LH. Shave over the edge. Line it up. Perfect lines. Size Approx Item No.:796733. Quantity: 1 PC. 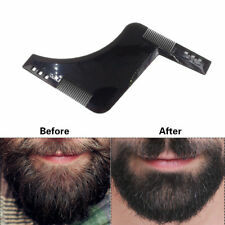 1 X beard shaper. You should feel free to examine the item. We are based in North West London. We collect information about you for 2 reasons: firstly, to process your order and second, to provide you with the best possible service. 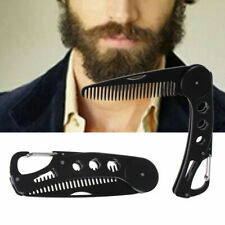 1 x Double-sided beard comb. Line it up. Shave over the edge. Perfect lines. TypeBeard Comb. Age GroupAll Ages. Material: plastic. Size: about 17 11.5 cm. Personalised Beard And Hair Comb 100% Natural Peach Wood - Cheltenham Beard Co.